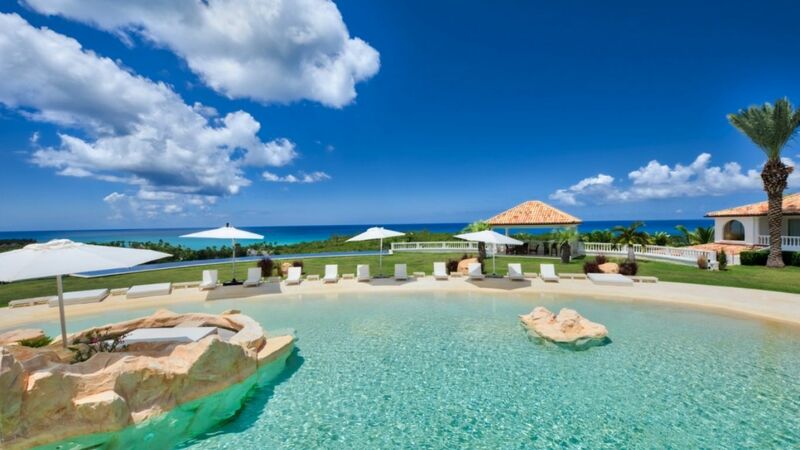 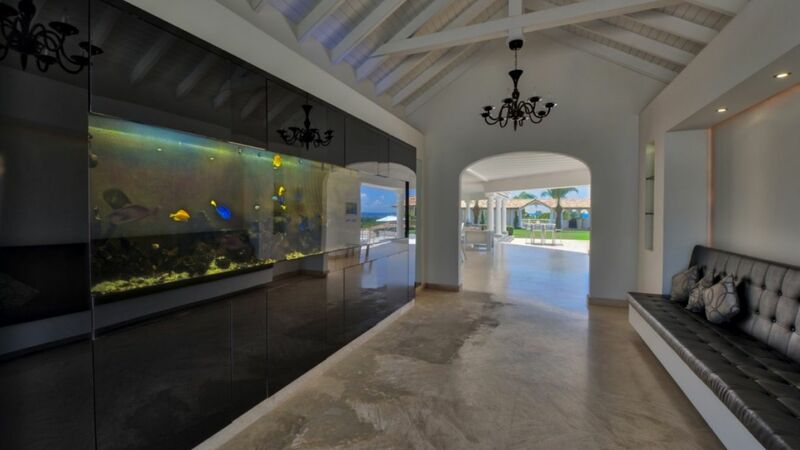 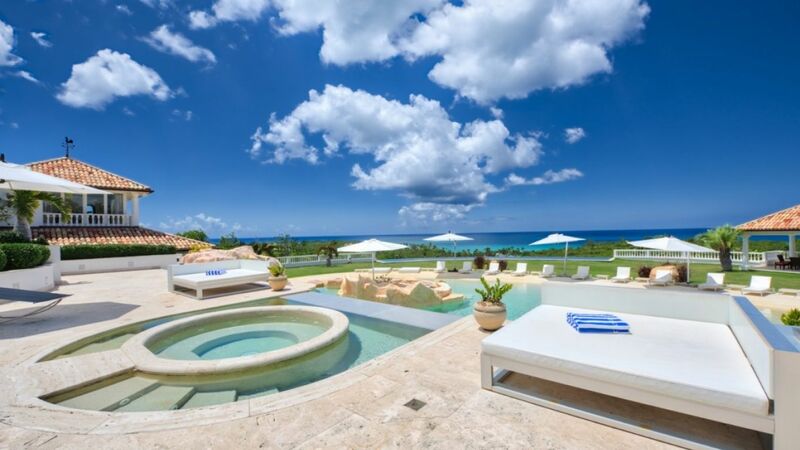 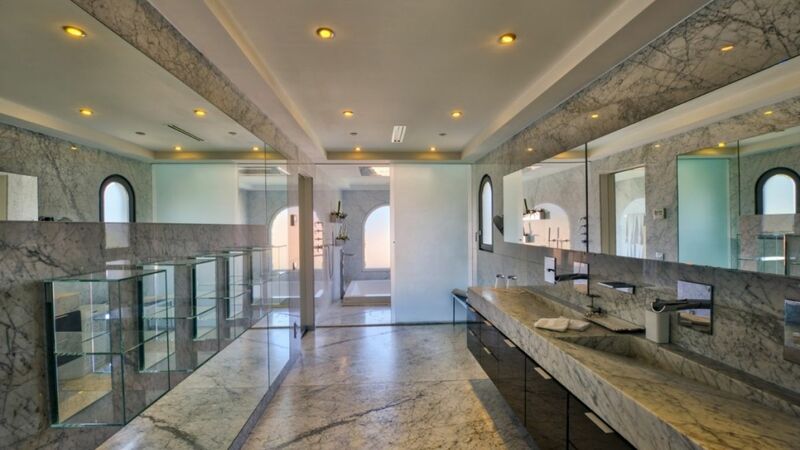 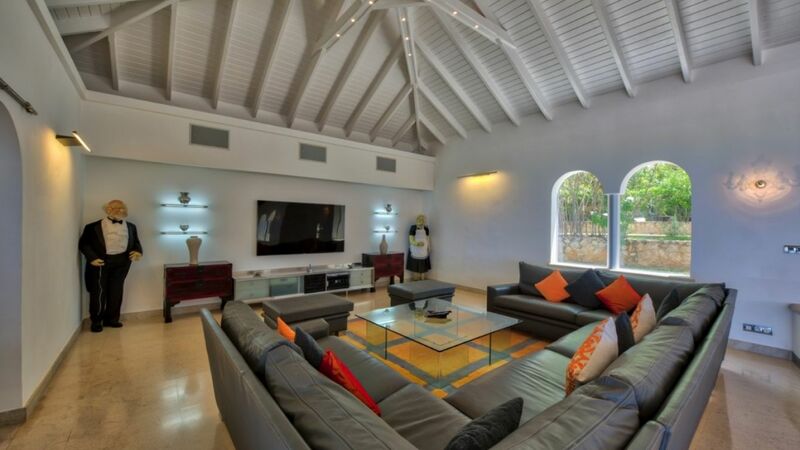 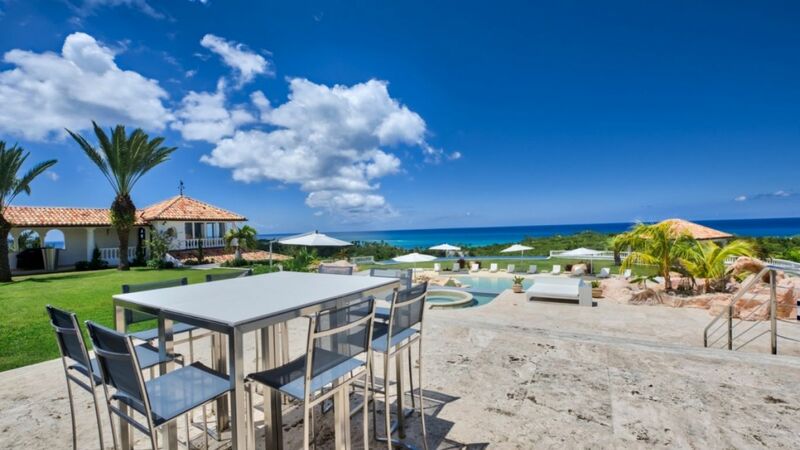 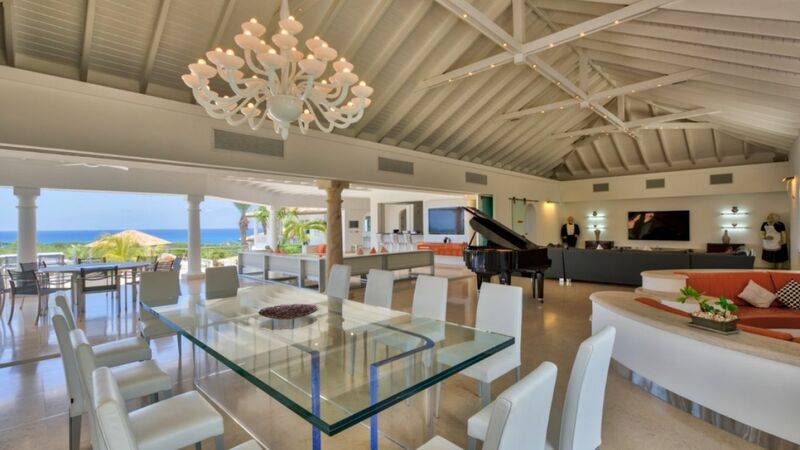 Villa Paloma in the private Terres Basses community of St. Martin is a rare and remarkable find. 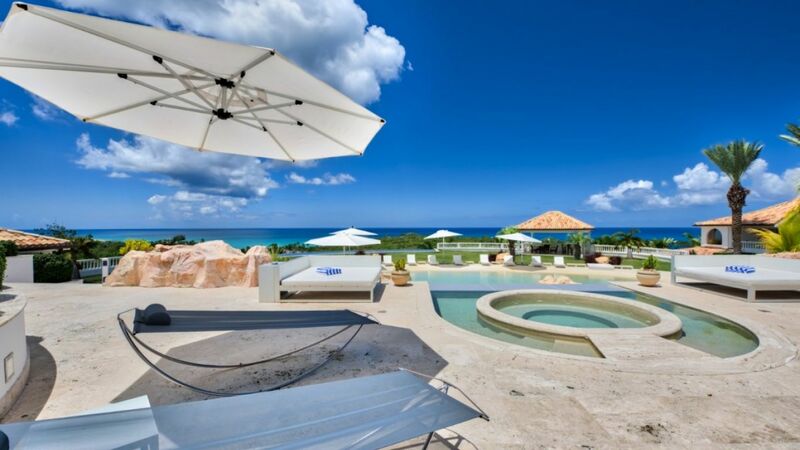 For those who want a private paradise during their holiday, this five-acre property is more than just exclusive - it is unique and nearly unmatchable. 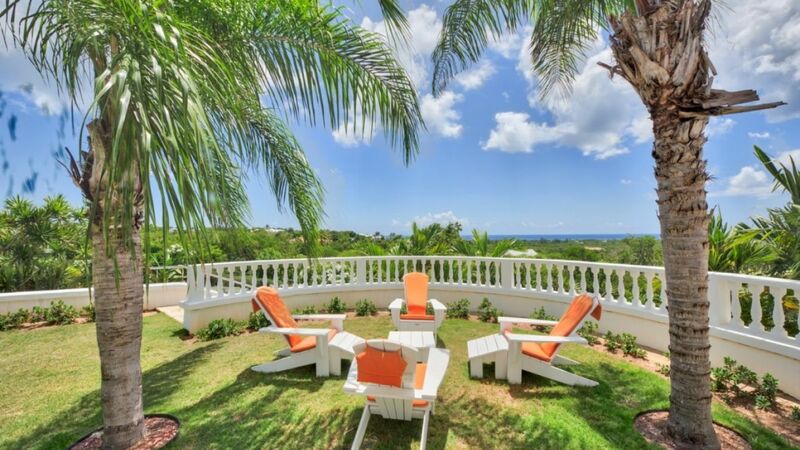 Surrounded by lush and mature gardens, designed with architectural beauty in mind, and offering the finest amenities, it is the ideal location for a group holiday, a family vacation or even a private event. 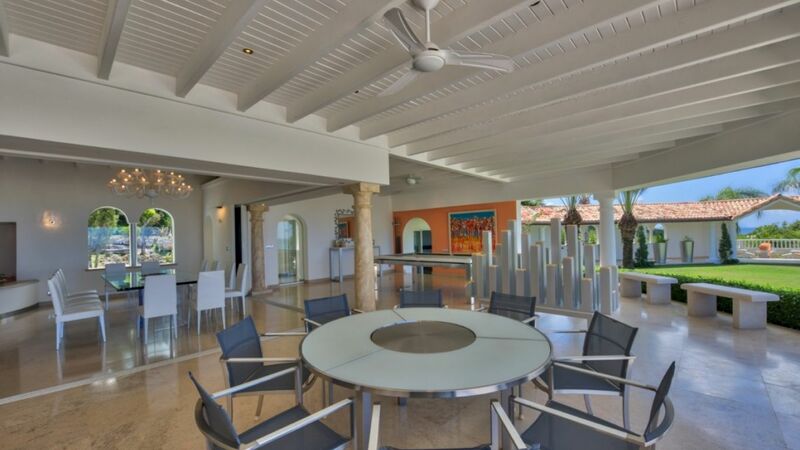 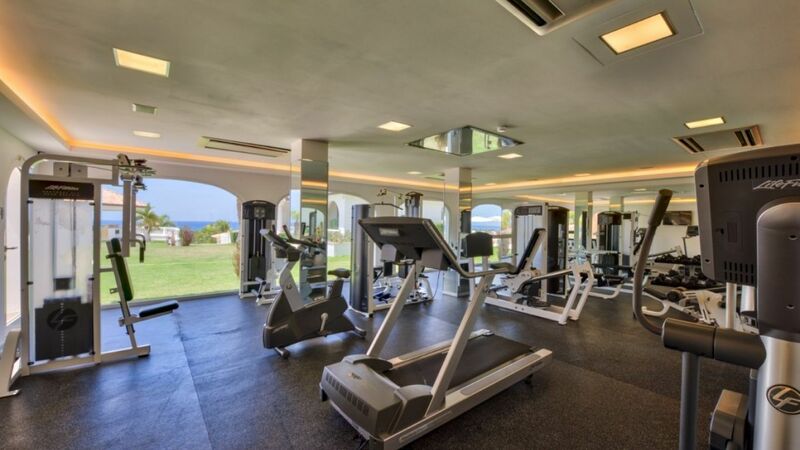 The enormous interior spaces include many lounge areas, al fresco and formal dining spots, a piano room, incredible modern art, a media room, and so much more. 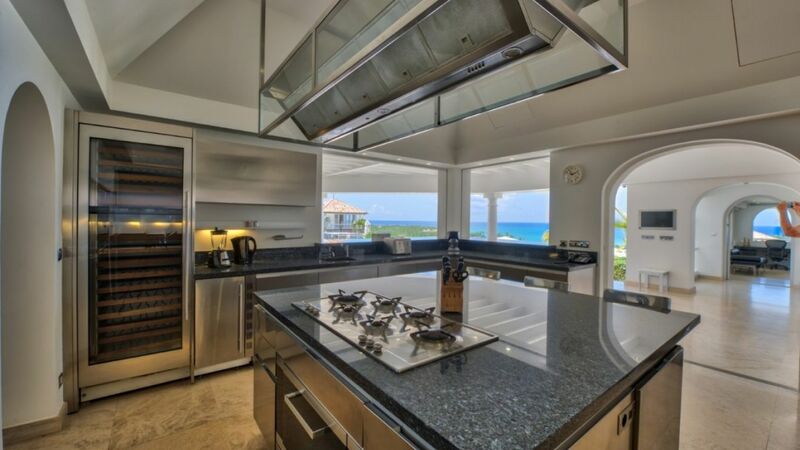 A full gourmet kitchen rounds out the amenities and ensures you have access to any appliances you require. 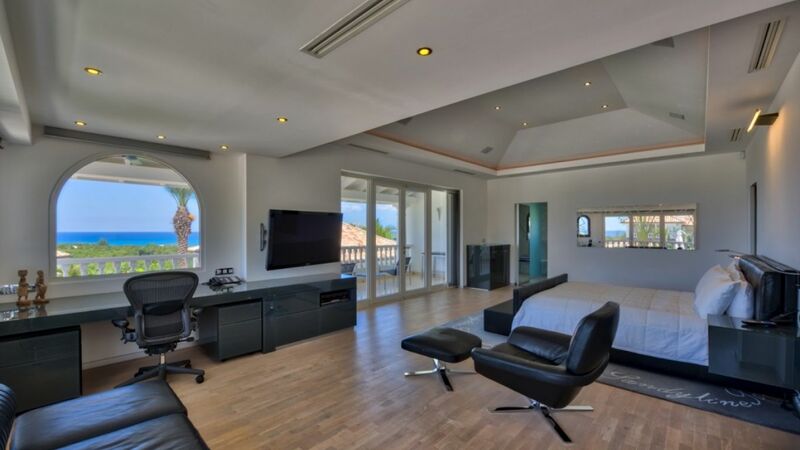 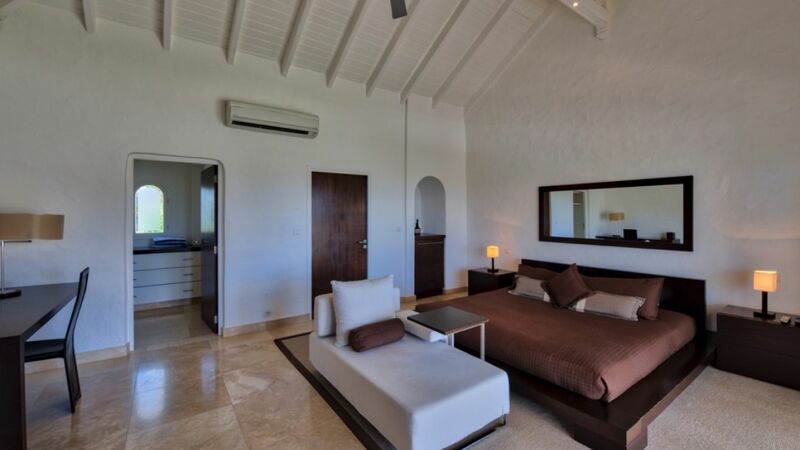 There are six bedrooms in the villa, five of which have king beds. 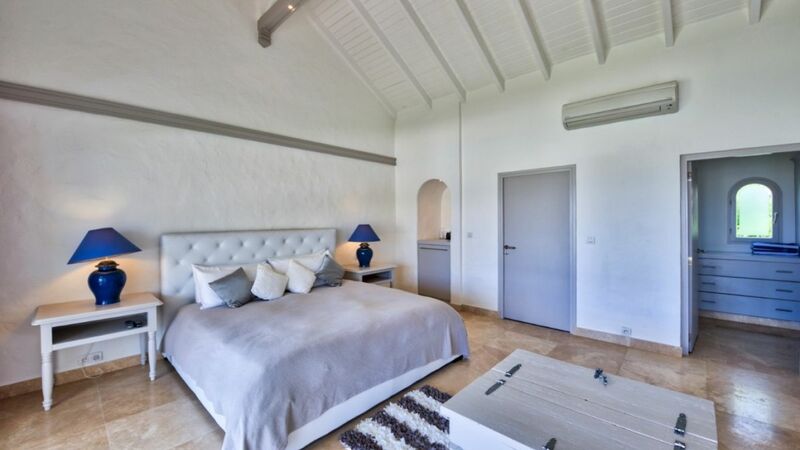 Another offers a queen and two twin beds, and one of the larger suites also features a nanny's room. 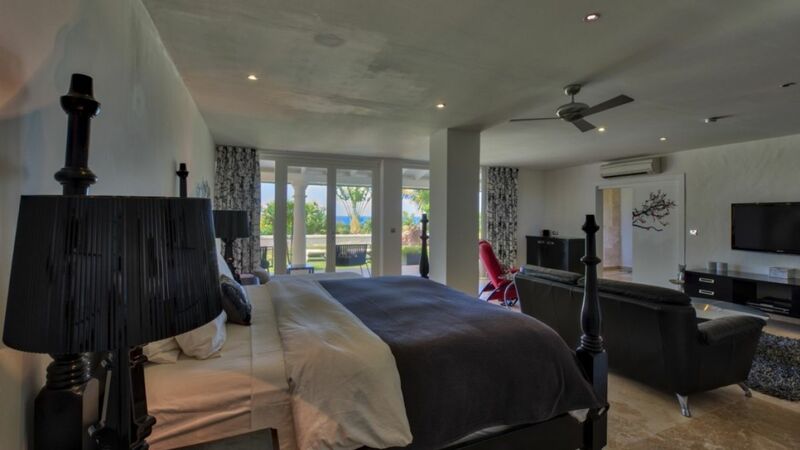 All have en-suite bathrooms and high-end electronics throughout. 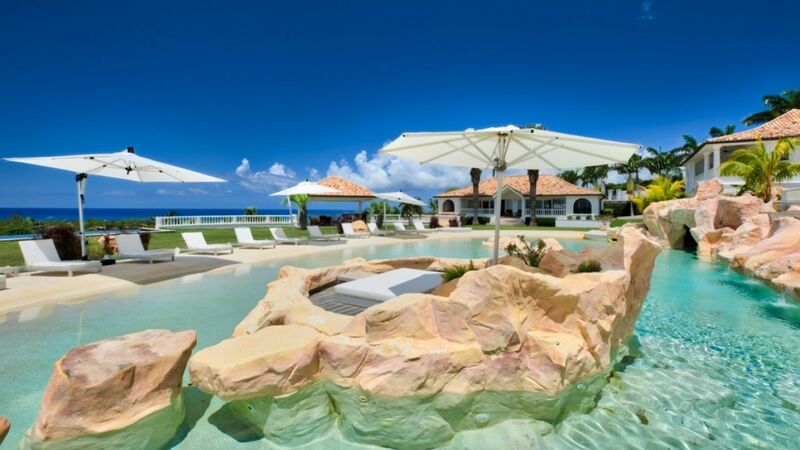 The swimming pool area is a real centerpiece, using a beach like the design it has the appearance of a natural pool. 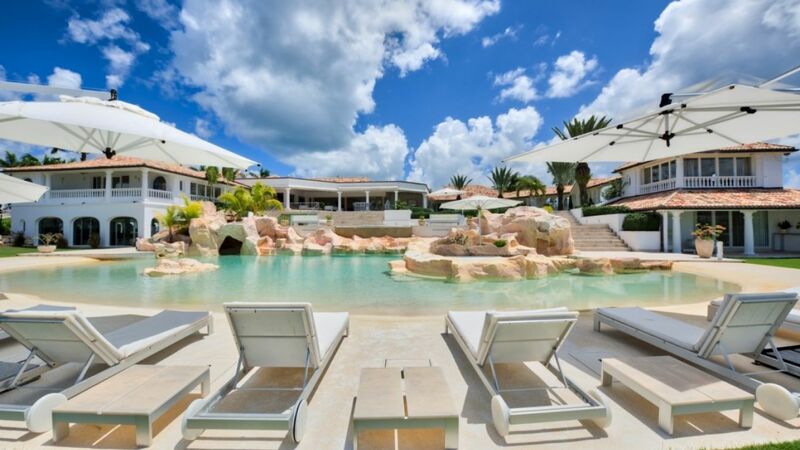 Arrayed with fountains, surrounded by sun chairs, and featuring a central stone island with pool, it will be a major attraction. 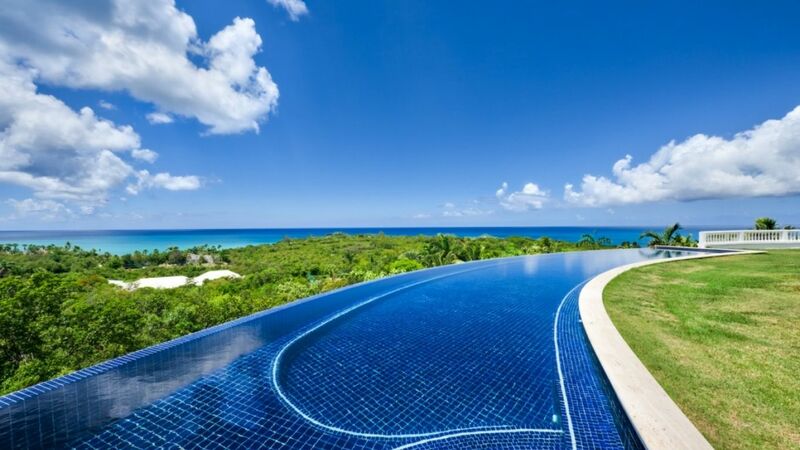 This area features many spots to enjoy the impressive scenery, and the lawn beyond the pool features enormous daybeds and a second infinity edge pool as well. 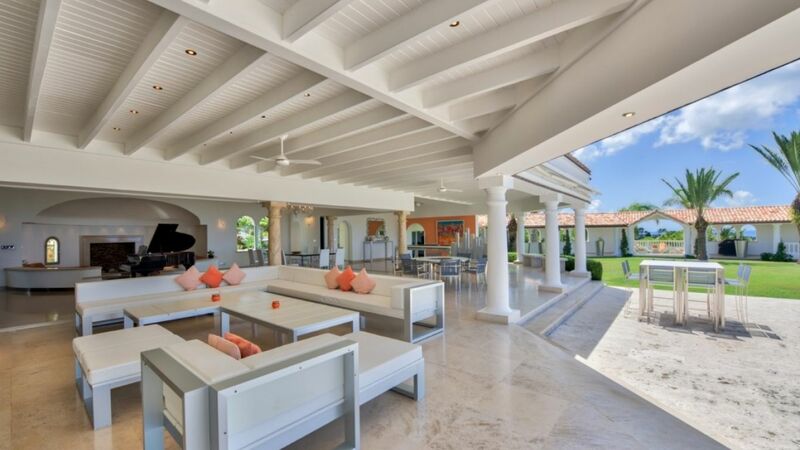 Outdoors is a koi pond, a putting green, and even a tennis court with clubhouse.